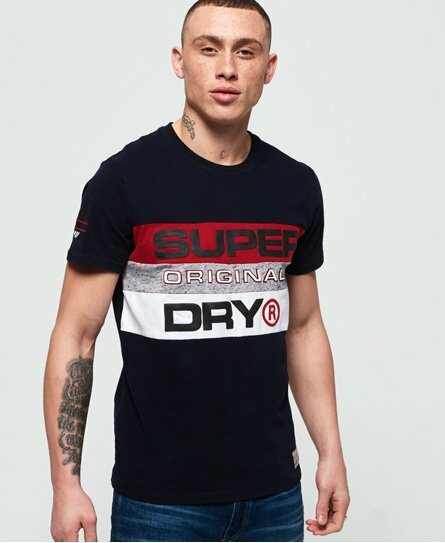 Superdry men’s trophy panel t-shirt. Keep contemporary this season with the on-trend colour block design. Featuring an eye catching graphic logo across the chest incorporating a high- build element, a cracked effect logo on the sleeve and a Superdry patch above the hem. The crew neckline and short sleeves make it great for everyday wear, team it with jeans and trainers for a casual look.